What Do Millennials Want? 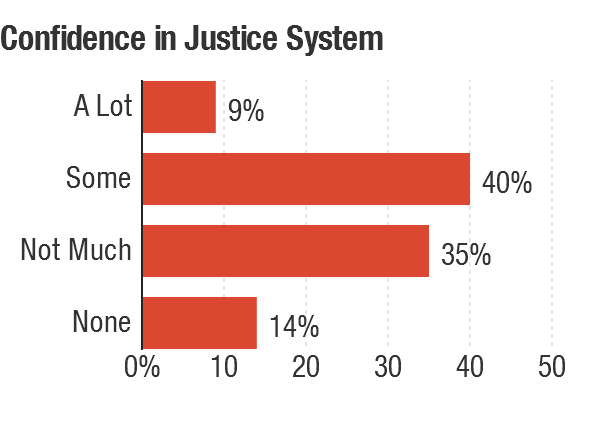 : It's All Politics A new poll finds a majority of young Americans don't feel politically engaged and nearly half lack confidence in the justice system. 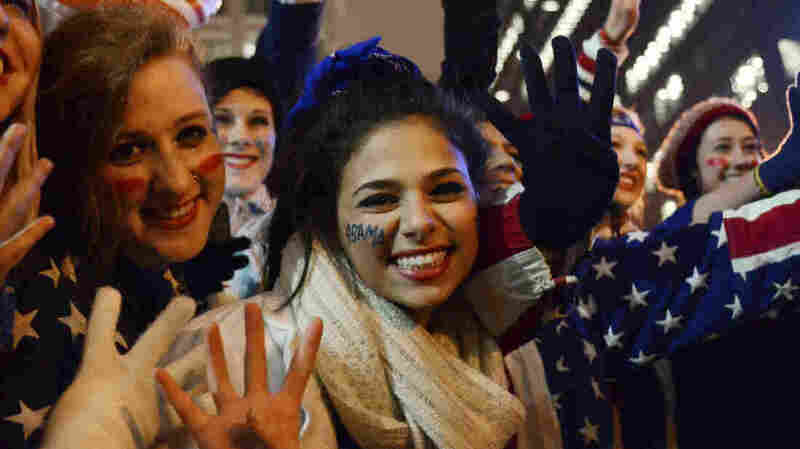 Young women celebrate election results in 2012. Asked if they consider themselves to be "politically engaged or politically active," 79 percent of young Americans answered no. Nearly 70 percent of respondents said they are registered to vote. And 60 percent said they voted in the 2012 election. That count is self-reported, though, and the actual number of people 18-29 who voted is actually lower — around 50 percent, according to 2012 exit polls. When asked how confident they are in the judicial system's "ability to fairly judge people without bias for race and ethnicity," 49 percent answered that they have "not much" or no confidence. Respondents were also split on their support of protests following police killings of black men in Ferguson, Mo., and New York. 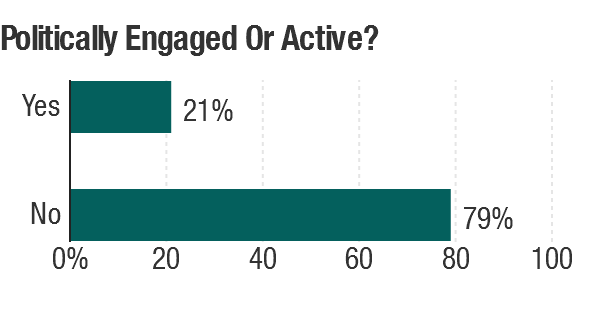 (The survey was conducted before recent protests in Baltimore.) Eighty percent support requiring police to wear body cameras. Among likely Democratic candidates, Hillary Clinton was by far the favorite. And, though a majority favor a Democrat winning the White House in 2016, 27 percent of respondents consider themselves neither liberal nor conservative. Millennials are distrustful of institutions like Congress and the federal government — only 17 percent and 25 percent, respectively, say they trust those entities. But the numbers are higher for the military (53 percent) and Supreme Court (42 percent). 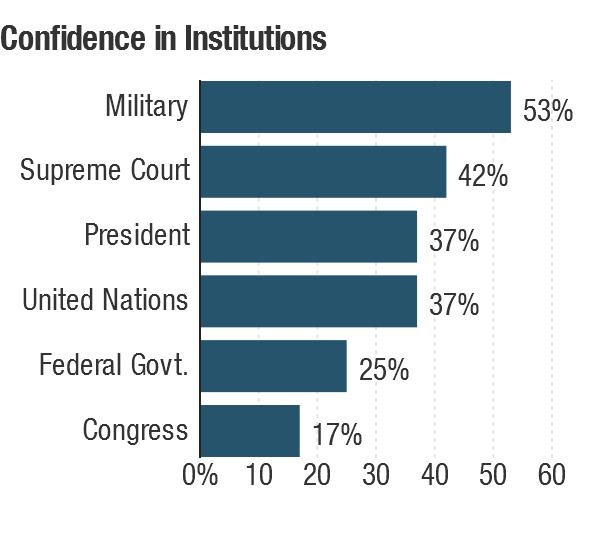 Overall, they are less trusting of major federal and international institutions than they were five years ago. +/- 2.4 percentage points at the 95 percent confidence level.